Commercial and Residential Painters in Seattle and Surrounding Areas. Set the tone of your rooms and your home with expert interior painters in Seattle. With color consultation from Alltech Painting, LLC, we put you in charge of the message and mood you want your home to send. Before we get started working with you on a project, whether it's an interior painting project or commercial painting in Seattle, we'll provide a free virtual painting of your home, so you can see your colors before you paint. 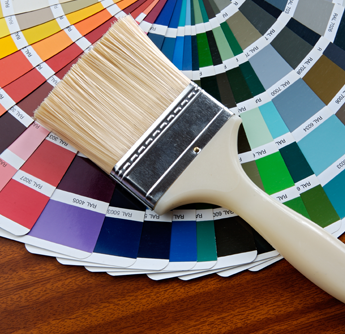 Color is one of the easiest and least expensive ways to dramatically change your home environment. If chosen correctly, color can rejuvenate your spirit and infuse your home with life. Choosing the right color is very personal and the process might be intimidating. With Alltech Painting, LLC by your side, you won't have to worry. Curious as to what color you have harmony with? Take the color personality test online to see what colors match your personality the best. If you're still struggling with colors, then contact us at 206.971.9545 in Seattle, Washington to find out the details about how one of our consultants can help you pick out the right colors. Our experts have many years of experience that will help you pick the right interior paint for your home or office. In the meantime, feel free to also explore colors using the Sherwin-Williams™ online Visualizer.